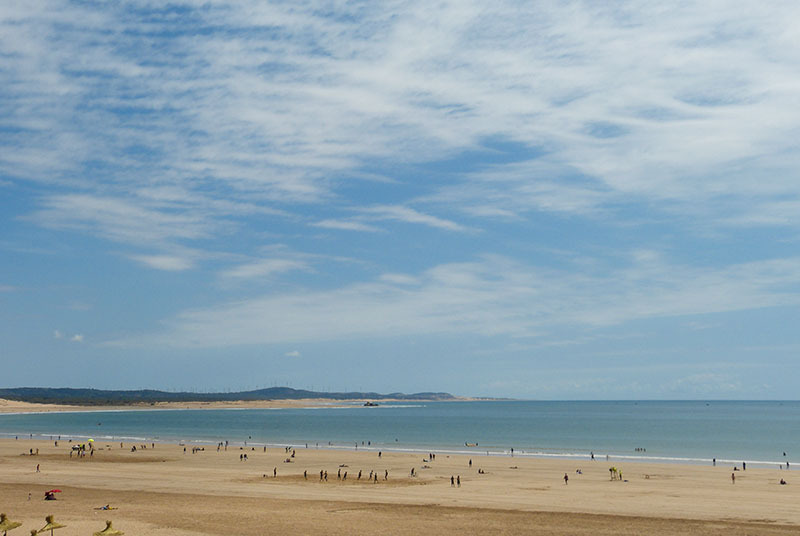 Combine your visit to the mountains with a stay in the coastal town of Essaouira with its Atlantic summer breezes. 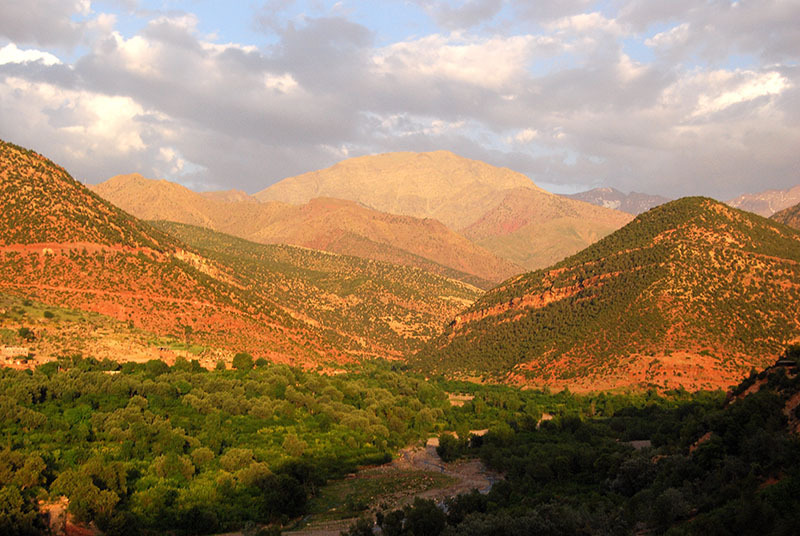 The High Atlas Mountains, which dominate the skyline to the south of Marrakech, have always played an important role for the city, not least with regard to commerce. 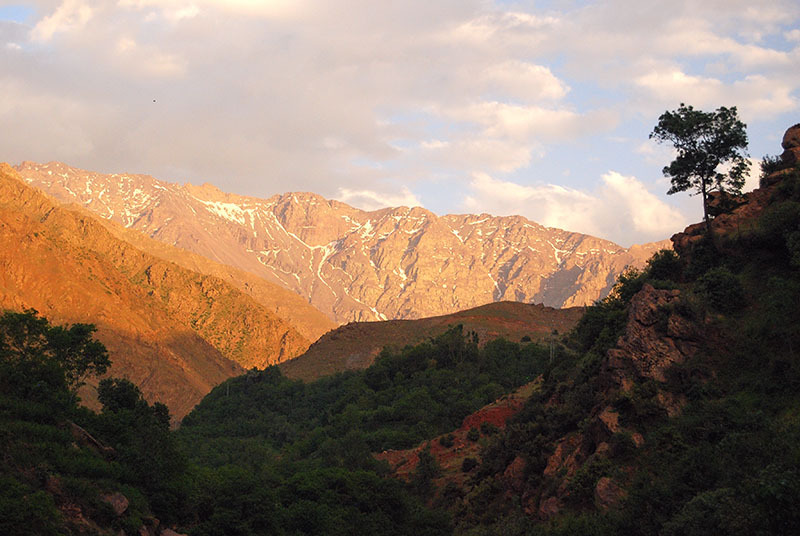 With several peaks above 4000 metres, the Western High Atlas is part of a larger chain of mountains that spreads from the Atlantic Coast in the west to the Mediterranean Sea in the east. 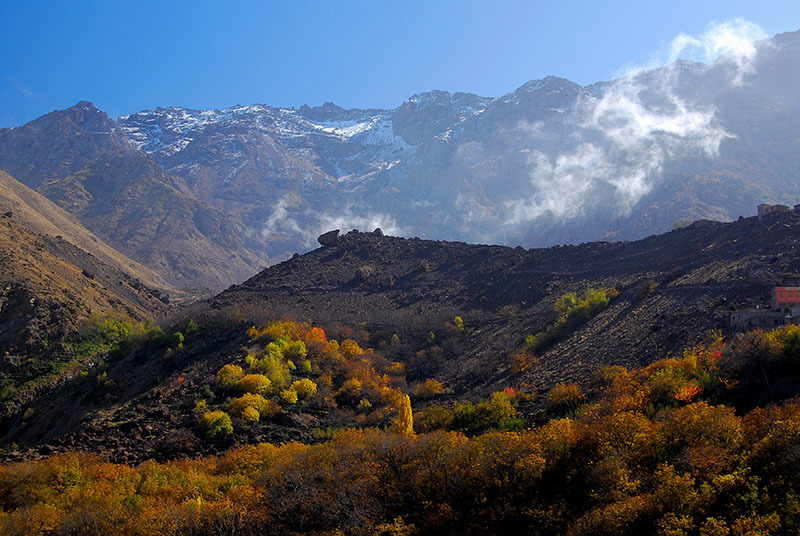 The mountains are home to the indigenous Berber people who have inhabited Morocco for at least 5000 years. The Berbers live in small clusters of earthen adobe houses which cling precipitously to mountainsides and are often only accessible by mule or foot. 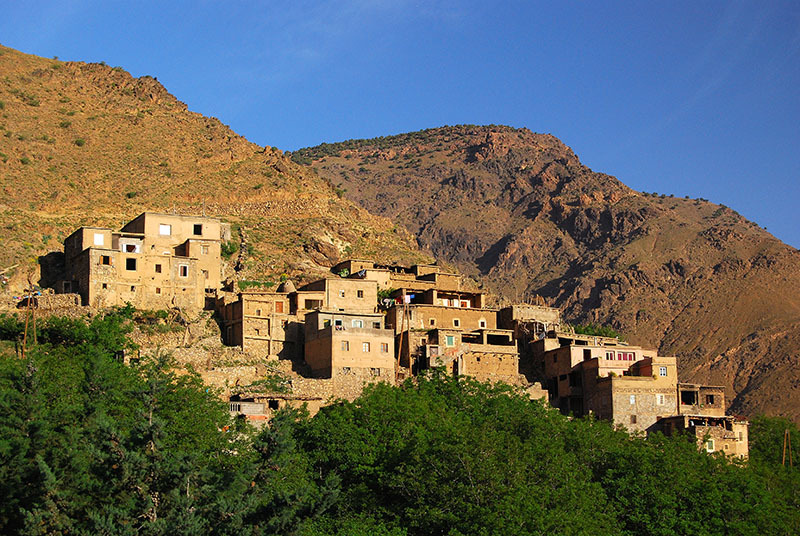 Guests will stay on a half-board basis in our luxury accommodation at Kasbah du Toubkal in the trailhead village of Imlil (just 40 miles from Marrakech, but seemingly a thousand miles from the hubbub and heat of the city!). 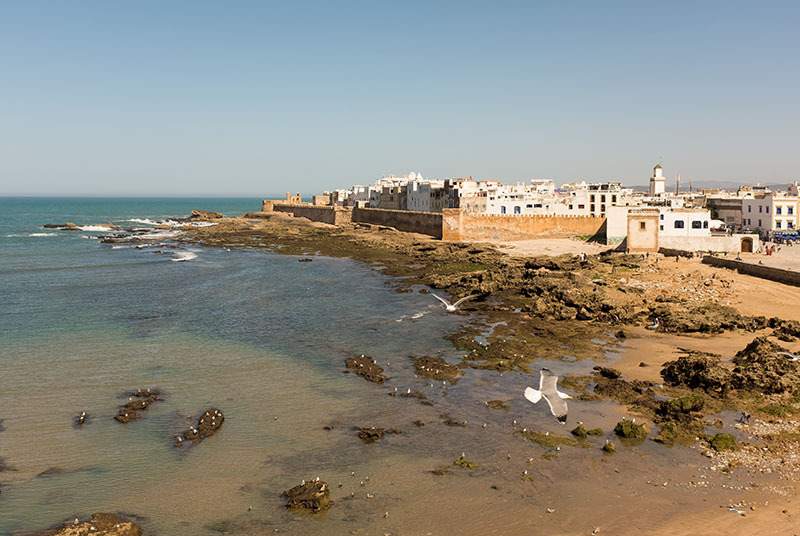 Essaouira, which lies approximately 100 miles from Marrakech, is a magical fortified coastal town on the Atlantic Ocean, built by the Portuguese in the 16th century. In total contrast to Marrakech, the pace of life here is relaxed and slow. Essaouira was made famous by Orson Welles who filmed Othello here, and more recently by Jimi Hendrix and the Rolling Stones who stayed here in the 1960s. 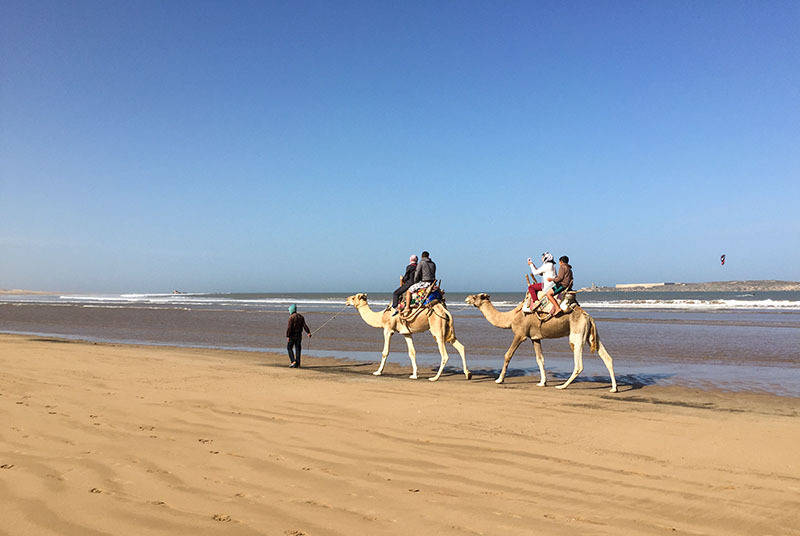 Unlike Marrakech and Fes, there are no single places of major historical note to visit, but Essaouira in itself has become an historic location and is not to be missed. 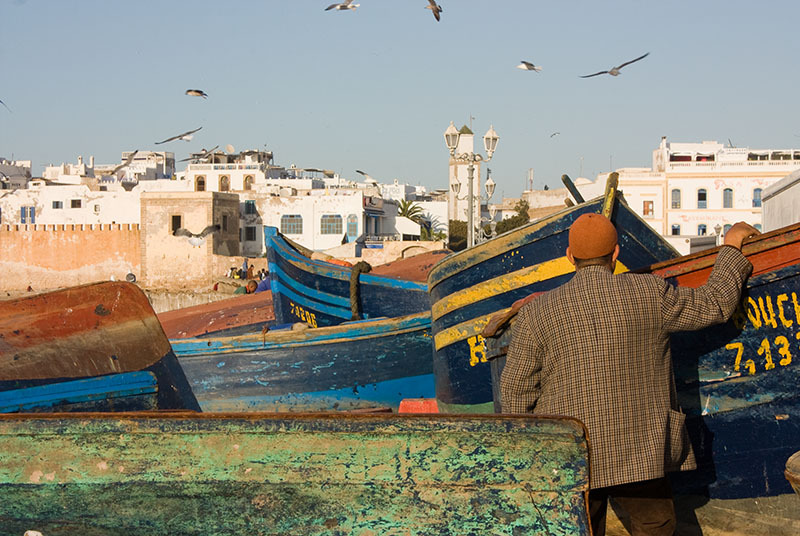 The fishing port creates a lively backdrop to the white painted buildings of the medina. The souk is small when compared to that of Marrakech and easy to stroll around without the need of a guide. 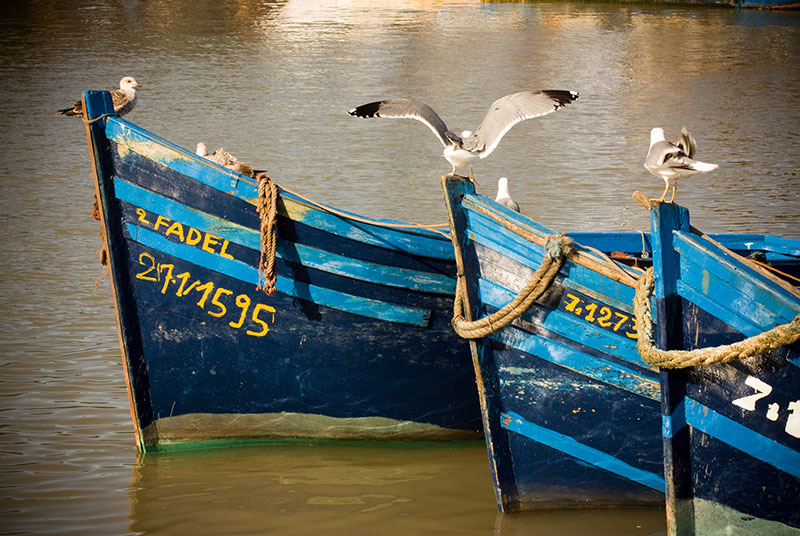 Essaouira is a haven for artists and as such handmade works of art are to be found in abundance. Being a fishing port, fresh fish is readily available and lunch at the port is a must where the day’s catch is cooked in front of you. 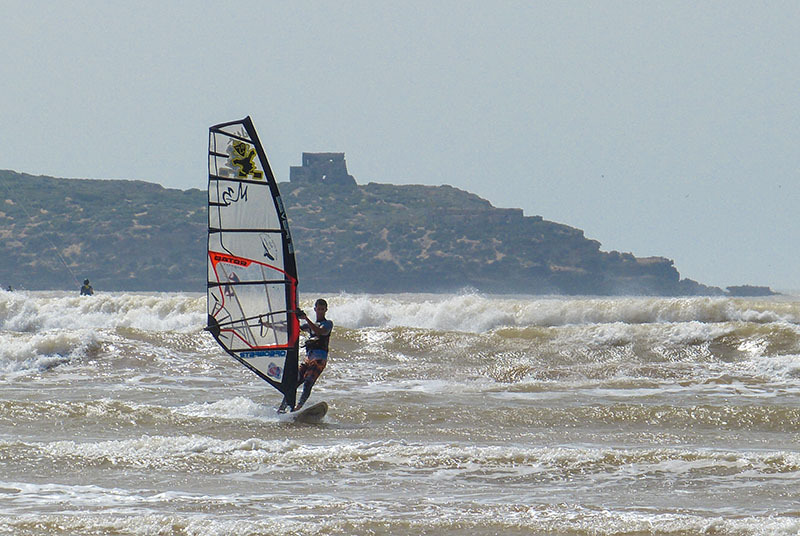 The wide-sweeping beach offers windsurfing, kite surfing, camel and horse riding and quad bike excursions. Private transfer from Marrakech Menara Airport where you will be taken to Imlil, a journey of approximately 90 mins’ duration, with plenty of photo opportunities en route. 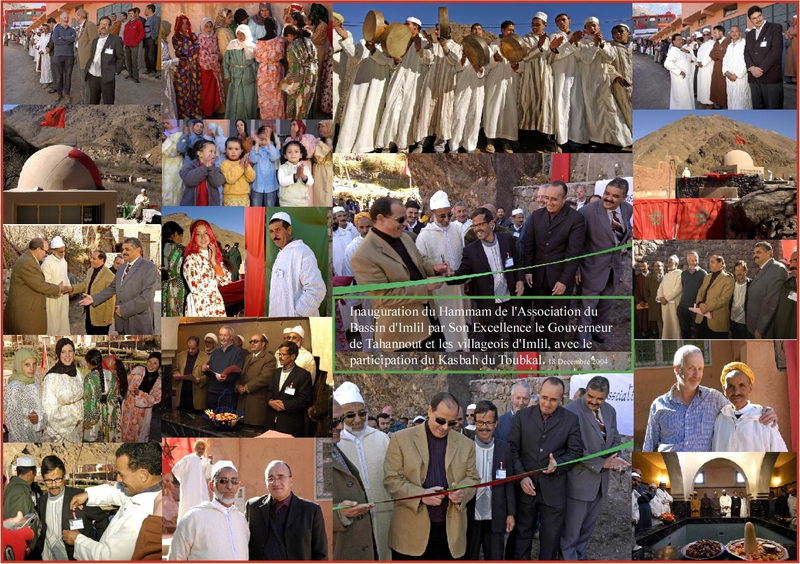 Accommodation will be provided at Kasbah du Toubkal. Depending on your arrival time, there will be an introductory walk in the area. Dinner is provided at Kasbah du Toubkal. 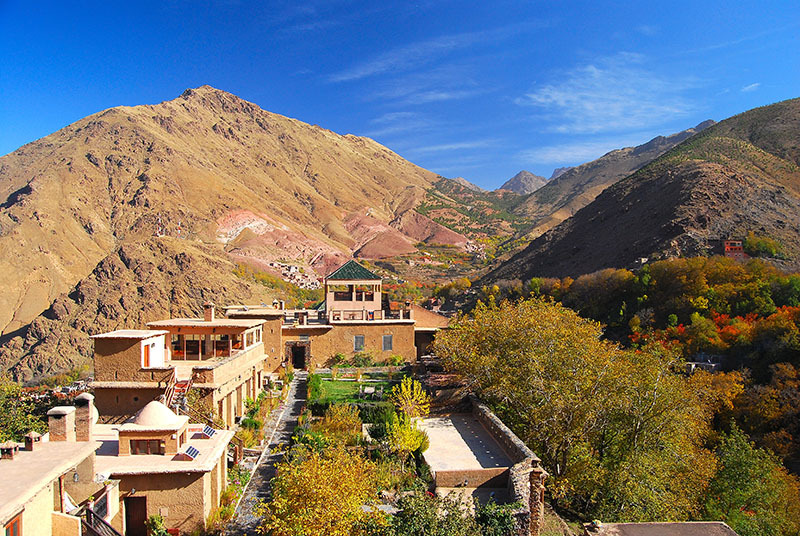 Free days in the Imlil area to explore the local valley or relax in and around the Kasbah, enjoying spectacular views from its roof terraces and relaxing in its hammam (steam bath) – the choice is yours. One full day guided trek with a picnic is included in the package. Other guided treks can be arranged and paid for directly at the Kasbah as required. Dinner and accommodation at the Kasbah. 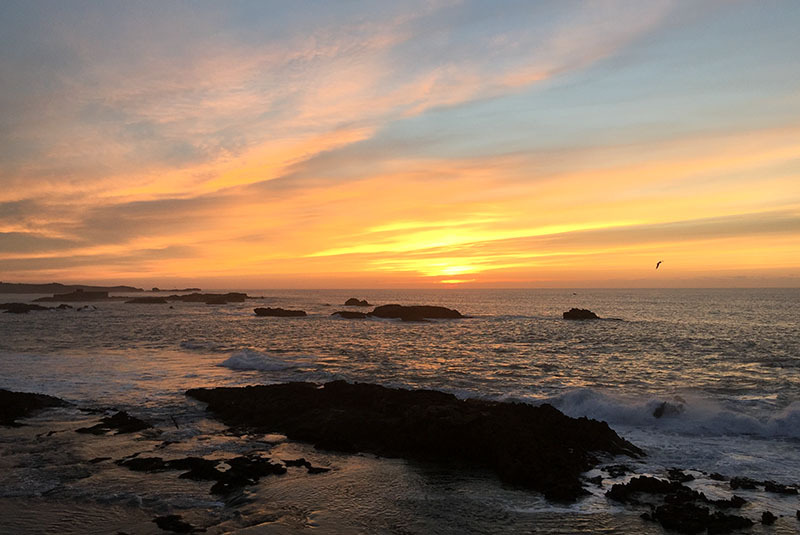 After breakfast, your driver will take you to the seaside town of Essaouira, 105 miles from Marrakech, a journey of approximately 4 hours’ duration. Upon arrival, you will check in at your riad. Accommodation is on a bed and breakfast basis, giving you the opportunity to dine at some of the superb restaurants that Essaouira offers. 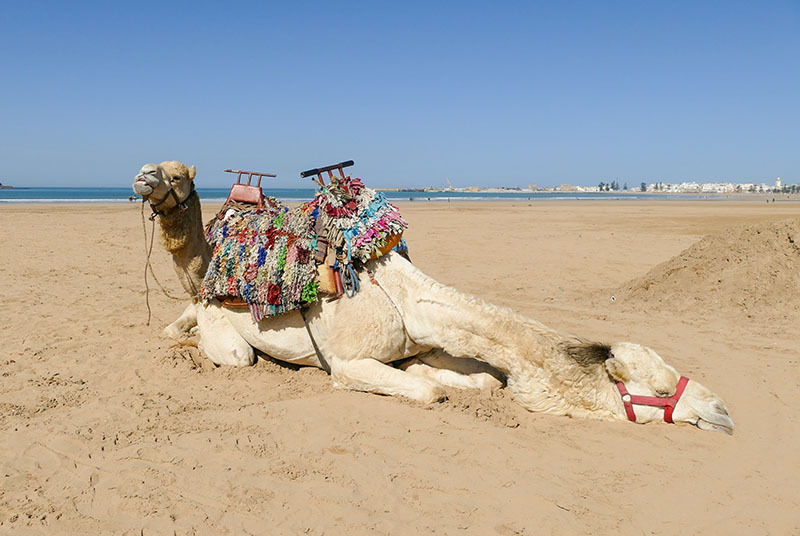 The temperature in Essaouira is in marked contrast to the soaring summer temperatures of Marrakech and has a much more relaxed feel. 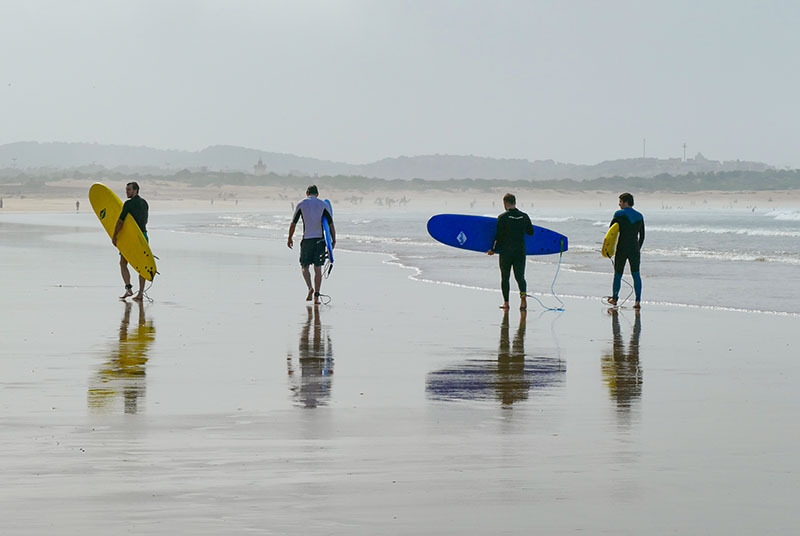 After breakfast, free days to explore the seaside town of Essaouira and its watersports or enjoy the spa facilities your riad has to offer. After breakfast, return by private transfer to Marrakech Menara Airport for your departure. Approximately 2.5 hours duration. 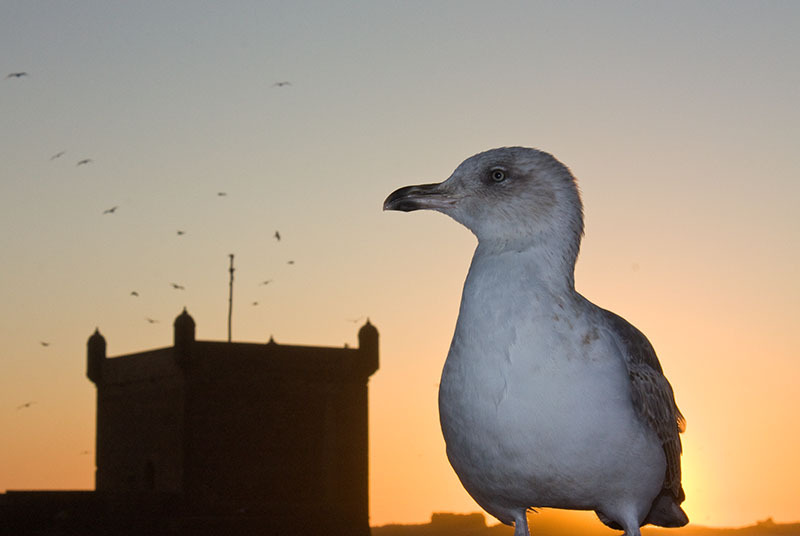 *This 7-night tour can be done in reverse starting in Essaouira. Private transfers from Marrakech Menara Airport to Imlil on Day 1, to Essaouira on Day 5 and the return journey on Day 8 from Essaouira to Marrakech. Includes one full-day trek with guide and picnic lunch. Food and soft drinks on a half-board basis during your stay at Kasbah du Toubkal and on a B&B basis during your stay in Essaouira. Please note that the Kasbah is not licensed to sell alcohol, so please feel free to bring your own alcoholic drinks if you wish. Free use of a private hammam at the Kasbah. Mountain accommodation is approximately 1800 metres above sea level.